A better assay makes great research possible, and great research can change the way people think. 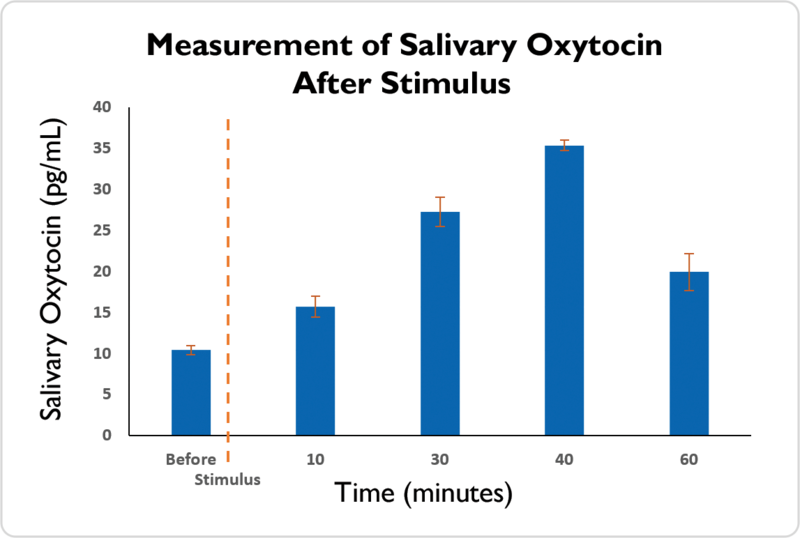 The new salivary oxytocin assay from Salimetrics SalivaLab is one of those assays and great oxytocin research is now possible. For years, the methodological issues plaguing the salivary bioscience community regarding reliable and reproducible salivary oxytocin measures have stunted the growth and acceptance of this analyte’s integration in salivary bioscience research. However, the ability to non-invasively and reliably measure oxytocin in human specimens is vital to further knowledge surrounding its biological impact on social behavior, pair-bonding, caregiving, and relationships in multiple scientific fields. 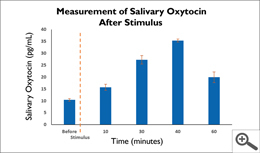 Salimetrics has long been pursuing a relationship with salivary oxytocin since the company’s inception in 1998. However, in 2005, Horvat-Gordon et al., determined that salivary oxytocin was not a valid biomarker when measured in human saliva using currently available immunoassays. Since then, multiple approaches and methodologies have been published, but offered only a glimpse inside the complex nature of oxytocin as a salivary biomarker. This inconsistent application of protocols and processes not only added variability to the measurements researchers relied on, but also to the field in its entirety. Ultimately, this non-systematic approach led to further controversy and confusion within the salivary bioscience community. Now, over 10 years later, after a substantial commitment to research and development, the technological barrier to creating a reliable salivary oxytocin assay has finally been crossed. Thanks to increased analytical sophistication, Salimetrics aims to help researchers clarify the underlying impact of oxytocin by systematically applying a better assay to future salivary oxytocin research. Salimetrics’ key differentiation in developing a breakthrough assay relies on a highly sensitive chemiluminescence platform with unmatched signal to noise ratios. Salimetrics further backed this assay with years of development and pilot testing. With these extensive research and development efforts, as well as support from leading researchers in the field, Salimetrics is confident in providing a new wave of researchers the right protocol for salivary oxytocin testing. For the first time, salivary oxytocin testing service from the Salimetrics SalivaLab will provide new bearings that enable salivary oxytocin research in a way that will make a difference. We hope you are as excited about this opportunity as we are and will share this information with those who may benefit. Thank you for your continued support of the salivary bioscience community. To learn more about how salivary oxytocin can be added to your study and enable future oxytocin research, feel free to explore the recent Press Release or Contact Us.